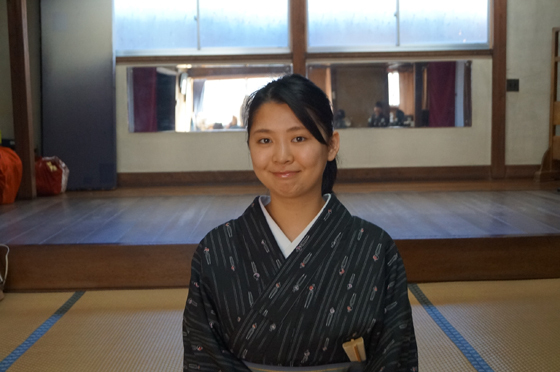 IHCSA Café interviewed Wakaba-san, a young geisha in Kisarazu who made her parlor debut in September 2016 while working as a temporary staff member of the local tourist association. Kisarazu is the only place in Chiba Prefecture that still has a kenban (an administrative office for geisha handling their dispatch to restaurants and other matters that also serves as a training facility). 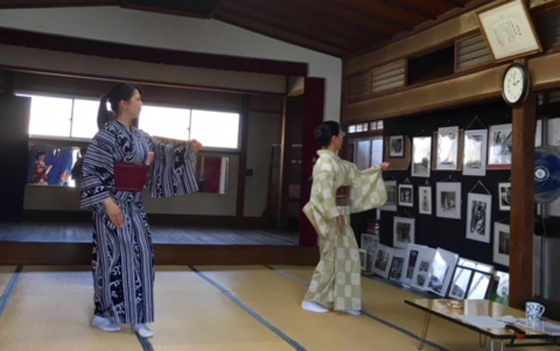 We asked Wakaba-san about her motivation in entering the geisha business, which is said to be facing a lack of successors and young talent, the attractions of Kisarazu geisha, and the enjoyment of parlor games. —What was your initial motivation for entering the world of geisha? When I was small, my family often made trips around the temples and shrines of Kyoto. I originally decided to become a geisha when I saw maiko [apprentice geisha] in the Gion district of Kyoto. In my elementary school days, I wanted to be a miko shrine assistant, or maybe a shell diver, because I liked the sea. But in the end, it was the maiko who were most appealing. I always had an interest in Japan’s performing arts as well, so I decided to become a geisha. —Did the thoughts or feelings you had before entering the world of geisha change at all after you joined? Practice increased, and as I mastered the arts, I was called to parties more often. I had more opportunities to perform at parties with many guests. That track record is my legacy and my nutriment. I feel that I’m getting closer to my vision of what a geisha should be. I have gained an interest in various local performing arts and culture. I also read books about the geisha world so as to improve my general education as a geisha. 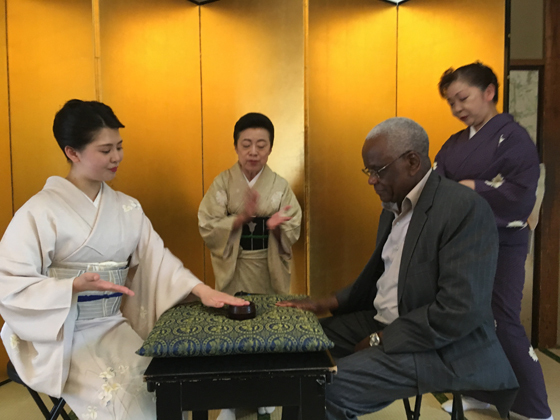 At the moment, along with more experienced geisha, I am receiving instruction in dancing from Sumakayo Hanayagi of the Hanayagi school of Japanese dancing. I want to become a graceful, refined, and multitalented geisha as quickly as possible. —What else are you practicing at the moment? I am putting a lot of effort into practicing the art of performing with two drums, called nichotsuzumi. 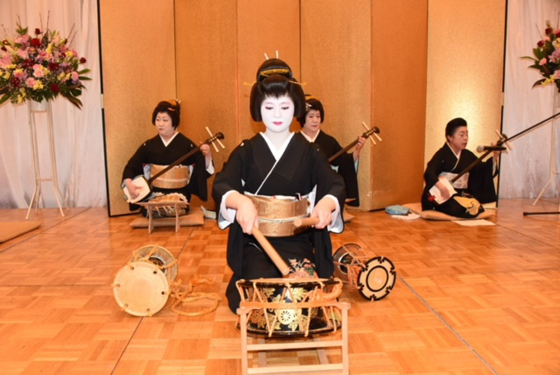 In this performance, one person plays two hourglass-shaped drums, a small drum placed on your right shoulder and a larger knee drum. This technique was very popular in Edo [present-day Tokyo] in the past, but now it survives only in Kisarazu, so it is very valuable. I hope that this technique becomes a selling point for Kisarazu geisha. We are also practicing hauta, which were popular songs in the late Edo period [1603–1868]. These are short songs of about three minutes performed to the accompaniment of a samisen. In addition, I am practicing dance, the samisen, and larger drums. And geisha must have grace, which can be learned from the Japanese　tea ceremony. So when I have time, I want to practice the tea ceremony as well. —Parlor games are a fancy part of Japanese tradition. What games do you like? There are lots of games. One of the most common is Konpira Fune Fune. A party guest and a geisha sit facing each other across a table with a wooden beer coaster placed between them. While singing the “Konpira fune fune” folk song, they take turns to tap their open hand over the coaster. Then, when one of them takes the coaster away, the other must tap a closed fist over the spot. And when it is returned, they must tap their open hands again. The first one to make a mistake loses. My personal favorite game is Kiku no Hana [Chrysanthemum Flower]. Many sake cups are placed facing down on a small tray. One of them has a chrysanthemum petal hidden inside. 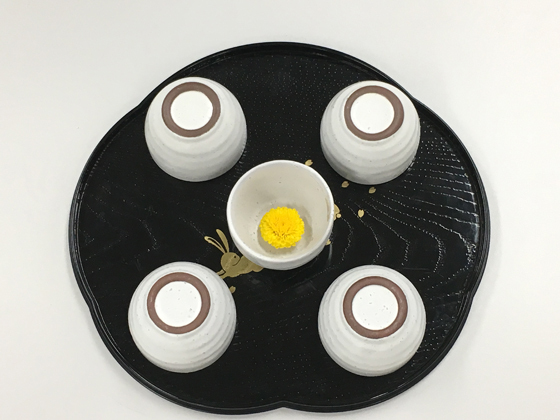 While singing the “Dare ga toru no ka kiku no hana” song [“Who’ll Get the Chrysanthemum Flower?”, the players take turns to turn over the sake cups. The one who gets the chrysanthemum loses, and as a penalty, sake is poured into the upright sake cups for them to drink. You can ask the people on either side of you for help, though. Like, you drink two, you drink three, and I’ll down five. If there are many upright cups, it can be a lot to drink. But it’s great fun. It is a rule in parlor games that if you lose, as a penalty you must gulp down some drink. They might look rather simple at first sight, but when you join in, the games are rather enjoyable and certainly enliven the atmosphere. People who don’t drink alcohol can drink juice or water instead. It’s just as much fun. —The street in front of Kisarazu Station has been lacking vitality for some time now. What is the solution? At the peak in the 1960s, I hear that there were around 200 geisha in Kizarazu. 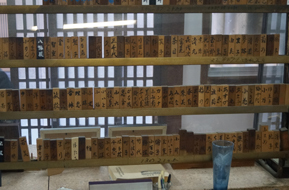 One thing that conjures up memories of those days is the display of wooden tablets bearing the professional names of past geisha in the Kisarazu Kaikan, which is still used as a kenban for geisha. Today there are only 10 Kisarazu geisha, including me, and just five okiya [geisha houses]: Tomonoke, Kotomura, Wakahisa, Shinkasuga, and Chiyomatsu. And there are now only two geisha entertainment districts in Chiba Prefecture, Kisarazu and Kamogawa. But looked at from a different perspective, that could be a strength. Led by the mayor, the local tourist association and individual businesses in Kisarazu are making efforts to revitalize the area. One of the projects involves restoring the cheerfulness of the city through geisha. If the number of geisha walking along the street in front of Kisarazu Station increases, the atmosphere will become merrier, and people naturally will gather there, won’t they? So I hope that we can increase the number of Kisarazu geisha. If we all join forces to enliven the city, I think we will see the return of a vibrant Kisarazu. —Finally, what are your ambitions for the future? 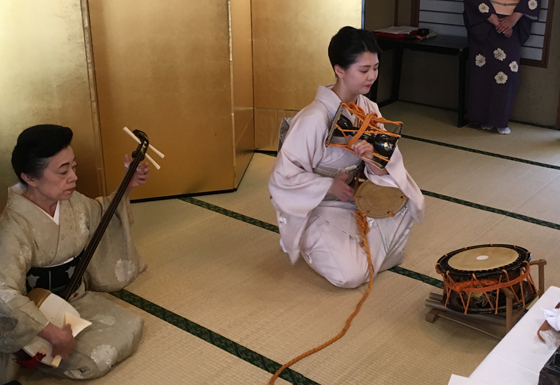 I’m still a newcomer, so naturally I have to polish my dancing skills, and at the moment I am also putting a lot of effort into samisen practice. In the future, I want to continue my geisha work even if I get married. For that purpose, I want to properly master accompaniment skills like the samisen and singing. I also want to practice stage costume fitting. Born in Tokyo and grew up in the city of Sakura in Chiba Prefecture. Attracted by the sight of maiko in the Gion district of Kyoto in her childhood, dreamed of one day becoming a geisha. In 2016 entered the Kisarazu Geiryo Kumiai to realize that dream. While working as a temporary staff member of the Kisarazu Tourist Association, engaged in repeated practice, eventually making her debut in September of that year at the age of 21.